The most anticipated YoYoFactory yo-yos of 2010, the Jensen Kimmitt world champion signature model: The Northstar. At first glance, the Northstar may look like a slightly altered Protostar. At first throw, however, you will feel the ENORMOUS difference between the two. The Northstar incorporates an entirely new weight distribution, added rim weight, new cap and weight ring design, solid color body, and a textured grinding surface. Three days before his performance at the World Yo-Yo Contest, Jensen received his very first Northstar. Three days later, Jensen and his Northstar dominated the competition in what was one of most exciting yo-yo performances in recent years. 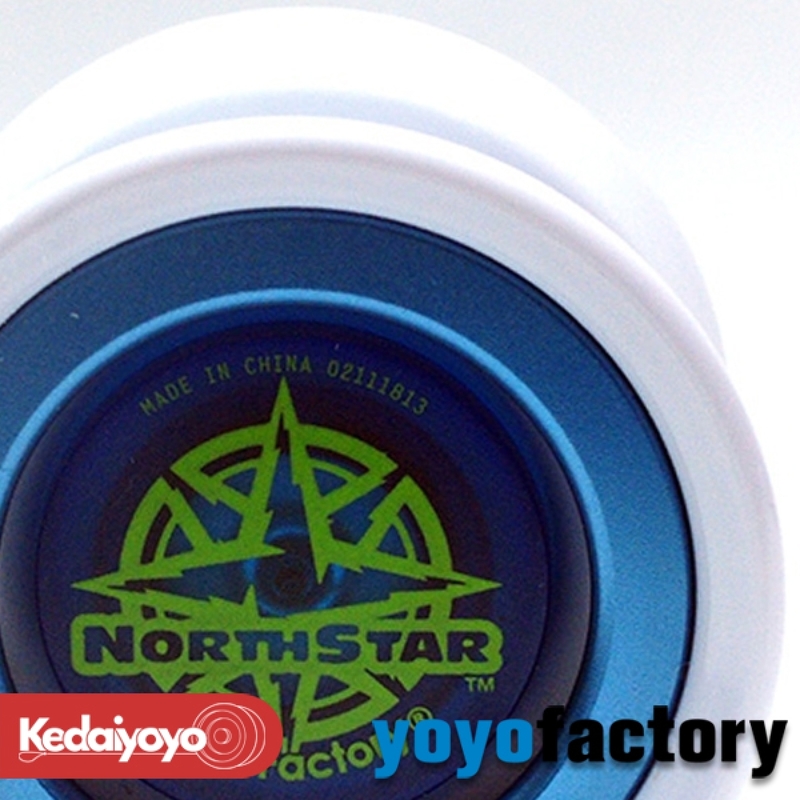 Out of the box, the Northstar has proven itself to be one of the highest performing plastic yo-yos on the market today.